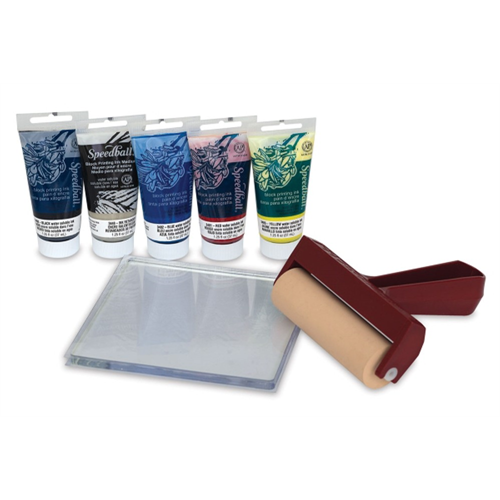 Speedball Gel Printing Plates make it easy for hobbyists and fine artists alike to create beautiful one-of-a-kind prints for mixed media, card-making, journaling, scrapbooking, home décor projects and much more! Available in four sizes, Speedball Gel Printing Plates have a smaller profile than competitive offerings, allowing them to create unparalleled levels of detail that add unexpected and rich dimension to prints. Their construction also makes them lighter weight and leaves them occupying less storage space between uses—ideal for classrooms, traveling artists and shared spaces. Individual plates are housed in a durable clamshell packaging that can be re-used to keeps plates safe from scuffing, marring and particulates when not in use. 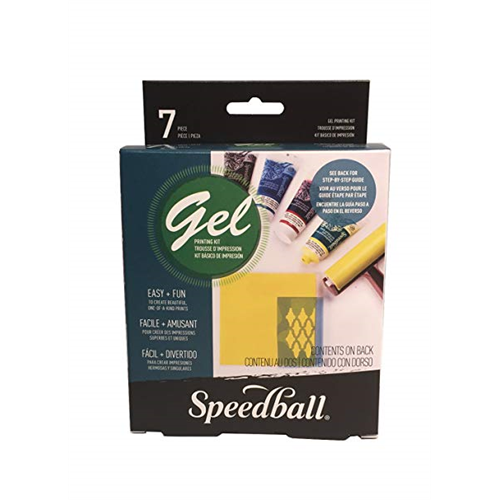 In addition, Speedball is the only manufacturer able to offer all of what you’ll need to make works of art using this fun and spontaneous process. Specifically formulated for use with any printmaking ink, Speedball Gel Printing Plates are also available in complementary starter kits that feature a plate, brayer and either our Water-Soluble Block Printing Inks or our fine quality Akua® Inks. It is not suggested to let regular acrylic paints dry on the Speedball Gel printing plates. They have been shown to be harder to clean acrylics off of compared to competing gel printing plates.